The early 19th Century saw the development of an international competition between the British and Russian Empires over control and influence in Islamic Central Asia: Afghanistan, Persia, and the khanates south of Russia. This more than century-long struggle, popularized by the likes of Rudyard Kipling, among others, became a cornerstone of the foreign policy of both empires who saw in each other mortal threats to their own power. And so, with seemingly everything at stake, they engaged in various forms of political intrigue, geopolitical posturing, and strategic subversion. The Great Game, in no small part, helped to shape modern Asia. Today we see a similar competition emerging between a truly global empire led by the United States, and the emerging global power China, with Russia playing a critical, though secondary, role. But in today’s globalized political and economic landscape, the competition is not restricted solely to Central Asia. Indeed, as many political observers have noted these last two decades, increasingly the focus has turned to Southeast Asia, a region seen as one of the main drivers of the global economy. And so, it is both Southeast and Central Asia where the US is employing soft power to counter the influence of China whose economic development initiatives have made it the single most important player on the continent. This political sea change has ushered in a new approach from Washington which seeks to use academia, and education more broadly, as a critical lever of US power: political, economic, and cultural. President Obama’s recent visit to Vietnam was seen as a momentous occasion by many who interpreted the President’s appearance as a signal that Vietnam was finally being allowed to fully normalize its relations with the US, and the West generally. Much ink was devoted in the New York Times and other beacons of the corporate media to the fact that the arms embargo, a relic of the bygone era of US military hostility against the people of Vietnam, will be fully lifted, allowing Vietnam to become a customer of the US and western military-industrial complex. While undoubtedly a boon to the likes of Raytheon, Lockheed, and other weapons manufacturers, the true motives for Washington were less about profit than about expanding influence in a region seen by China as within its sphere of influence. But military weapons are only part of the true arsenal at Washington’s disposal. Indeed, perhaps equally potent is the establishment of the first private, western-style university in the country: Fulbright University Vietnam. Leaving aside the mostly vacuous rhetoric and meaningless platitudes that is standard fare for a diplomatic speech of this kind, the subtext of Kerry’s remarks carries with it a clear agenda: the US intends to use education as a means of inculcating into the next generation a western-oriented worldview which champions free market neoliberalism and a continuation of the hegemony of US interests. As Kerry noted, the US understands the “stakes,” though they are not exactly the altruistic interest in a well-rounded education for young Vietnamese upon which Kerry waxed poetic. Rather, Washington is concerned that China-Vietnam relations continue to improve despite the South China Sea disputes, as evidenced by the increasing cooperation and dialogue between top military leaders from the two countries. For the US, the fact that the military leadership of the two countries has evinced a desire for more cordial relations is a signal that yet another country in Southeast Asia sees in China a future partner rather than adversary. Just as in Thailand where the government has made waves by shifting its military purchases increasingly to China, so too does Vietnam understand the centrality of China as a military power in Asia, one which might be more palatable as an ally and not an enemy. And while the US works tirelessly to foment conflicts between China and its neighbors over the disputed islands in the South China Sea – Secretary of Defense Carter’s comments alone have been interpreted as deliberately inflammatory by many political observers, as well as the Chinese Government – it understands that military posturing is not enough to head off China’s increasingly assertive, and of course economically persuasive, behavior. Instead, Washington must entrench itself in the future political class of Vietnam. Put simply, Harvard’s Kennedy School – one of the key training and recruitment grounds for the lords of capital – is providing the framework and resources to establish a foothold in Southeast Asia, one which will indoctrinate the leaders of a future Vietnam with the propaganda of neoliberal capitalism and US political dominance. One should not forget the centrality of Harvard’s John F. Kennedy School of Government to creating the current ruling establishment of the imperial order. A quick look at just a few notable faculty and alumni illustrates how the Kennedy School really acts as the training ground of the elite: US Ambassador to the UN Samantha Power, proselytizer of the gospel of Wall Street Larry Summers, and Goldman Sachs managing director, Bush Administration Deputy Secretary of State and former president of the World Bank Robert Zoellick, to name just three. Of course one could include the hundreds of other noteworthy faculty and alumni of the Kennedy School who have gone on to become top officials of leading global institutions and in the US Government. So, to partner with such an institution is an indication of the real objectives of the Fulbright University in Vietnam: the expansion of US power. With cadres of Vietnamese young professionals fully baptized in the waters of neoliberal economics and US-centered public policy education, Washington hopes to fundamentally shape the political and economic future of Vietnam, a future that will undoubtedly be pro-US and anti-China, at least if Washington gets its way. Vietnam is not the only country seen as critical to US soft power projection in Asia via the university. The former Soviet Republic of Kazakhstan, a critical partner for both China and Russia, also now plays host to a central node of the US-Western academic soft power apparatus. 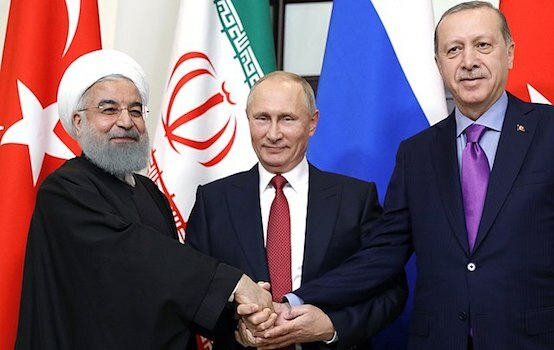 When Russia, Belarus and Kazakhstan formally announced the establishment of the Eurasian Economic Union in 2014, it became clear to all just how important the Central Asian country was to the development of the region, and to the growth of Russian influence. And while Russia clearly has made Kazakhstan a priority, so too has China, which envisions the country as a linchpin of its One Belt, One Road (New Silk Road) strategy of economic development and integration throughout Eurasia, linking China to the European market by land. In addition, Beijing sees Kazakhstan as critical to its energy supply as well as an all-important transit hub. 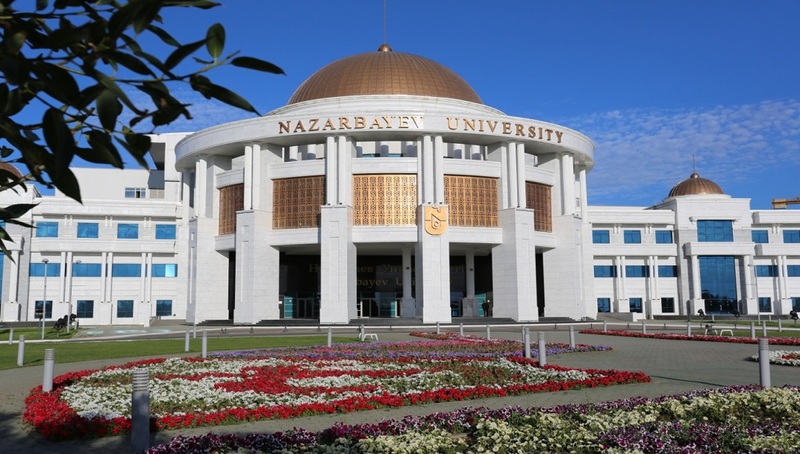 And so, it is with all these developments in mind that one should examine the real motives behind the establishment of Nazarbayev University, the western-funded and managed university widely seen as a centerpiece of the new glittering capital of Astana. The university was conceived, designed, partially financed, staffed, and launched under the guidance of a number of prominent US universities, including Carnegie Mellon University, Cambridge University, Harvard University (Kennedy School of Government), and many others. 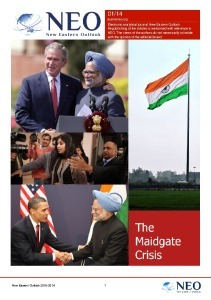 Again one sees Harvard’s Kennedy School playing a defining role. The role of the World Bank, along with some of the most prestigious universities and powerful corporations in the western world, in establishing and administering Nazarbayev University, is an obvious indication of the tremendous influence these institutions wield inside Kazakhstan. Moreover, the implications for the future of the country are quite ominous indeed. 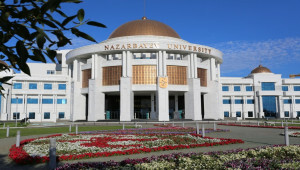 As new generations receive their “westernized” education from Nazarbayev University, the logical outcome will be an entire class of young leaders, managers, and executives whose professional and academic connections will all be rooted in western institutions. This does not bode well for the notion of Kazakhstan as a reliable partner for the EEU and China’s Silk Road. And this is precisely the point. The US wants to undermine the development of mutually beneficial relations between Kazakhstan and both Russia and China, and it is doing so using the university as the vehicle. Soft power is indeed a potent weapon. In both Vietnam and Kazakhstan, two countries whose geopolitical and strategic alignment is quite similar – both pursue what might be called non-aligned or multi-vector foreign policies, walking the line between East and West – one sees the university as a linchpin of a well-planned strategy of subversion. Rather than allowing these countries to pursue independent paths of political and economic development, the US is using Fulbright University Vietnam and Nazarbayev University to broaden and deepen its own hegemony. The British and Russian Empires competed for influence and power in Asia in the original Great Game. That colonial contest in many ways contributed to fostering the growth of what the great historian Eric Hobsbawm called The Age of Empire, a period of imperial conquest which laid the groundwork for World War I. Today we see a second Great Game taking shape in Asia, one which sees the US-dominated Empire seeking to maintain its hegemony by stifling the development of China. Undoubtedly, this drive by Washington, using its soft power in the realm of education, could have equally disastrous consequences. World peace demands that rather than mindlessly aligning with the West in search of that elusive pot of gold called “prosperity,” countries like Vietnam and Kazakhstan should take a hard look at the costs and benefits of such a strategy. For, if they do not, they will undoubtedly be on the front lines of the next world war.